The collection at Kathy’s funeral raised £806.91 for cancer research. I set up the page below for further donations, and in November 2017 my son Jeff’s partner Zelia raised over £1,100 through this page when people sponsored her for shaving her head. 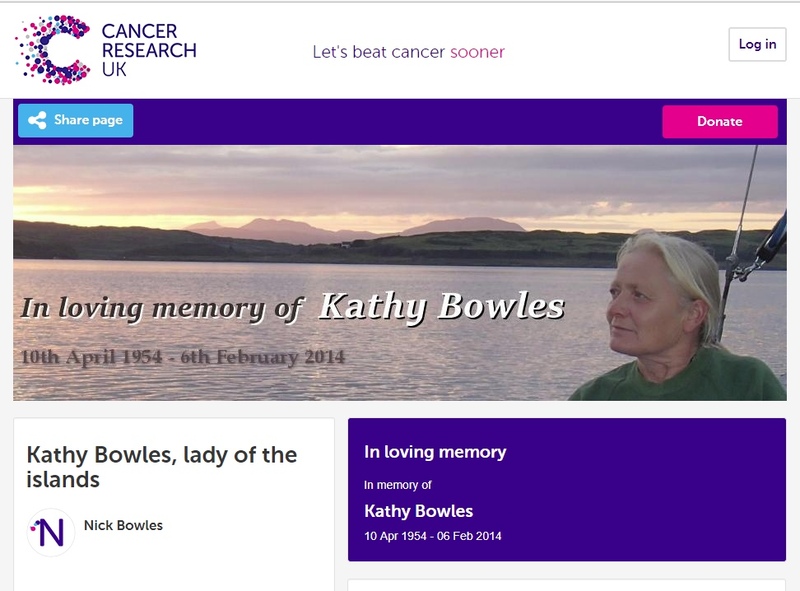 I have left Kathy’s page open, as a memorial and to encourage further donations. Please click the image below to go to the page and make a donation in Kathy’s memory. I hope a cure and prevention of cancer results from research.